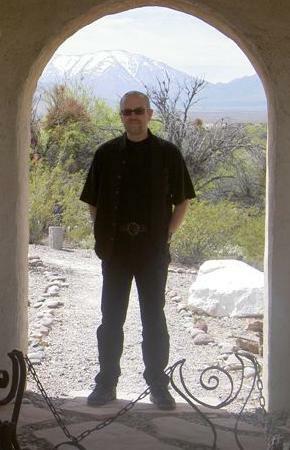 C. Dean Andersson is an American author of horror and heroic fantasy. His early fiction was published by Avon books under the pen name “Asa Drake” — Crimson Kisses and Lair of Ancient Dreams were collaborations with Nina Romberg. On his own, Andersson adopted the Drake pen name to write a Scandinavian mythos inspired sword and sorcery series known as the Bloodsong saga. The Bloodsong books featured a female S&S protagonist years before Xena graced the airwaves with her sword-slinging talents. The first novels published under Andersson’s own name were released by Warner Books in 1987 and 1988. Torture Tomb and Raw Pain Max were extreme horror novels on the early edge of the Splatterpunk era, although he was never technically considered a Splatterpunk writer. Those novels were part of a loosely connected trilogy of books which ended with Fiend, published by Zebra books in 1994. One of Andersson’s most popular novels was I Am Dracula, part of a short-lived classic monsters-inspired series in the 1990s. His short story “The Death Wagon Rolls On By” was a 2007 Bram Stoker Award nominee. To browse the list of C. Dean Andersson titles currently available in print and eBook editions, click here.